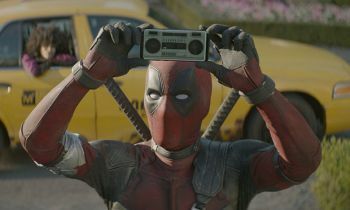 Deadpool, aka Wade Wilson (Ryan Reynolds) is back to work as a contract killer, slicing up bad guys while sounding off his typical, loveable, foul-mouthed commentary. He comes to meet a young, struggling mutant named Russell (Julian Dennison - Hunt for the Wilderpeople), who is being pursued by the brutal, cybernetic Cable (Josh Brolin). Deadpool decides it’s time to abandon his solo hero ways and form a team of mutants called the X-Force to protect Russell. The first Deadpool movie was hailed for its subversive nature, R-rated action, smart, sarcastic sense of humour, and Reynolds' performance. Expectations for its sequel, which sees the return of Reynolds along with several other characters from the first film, have been impressively high, and while fans will find much to like in the follow-up, it is a bit of a mess. As enjoyable as Deadpool 2 is, it suffers from many of the faults that tend to haunt sequels. Being on a bigger scale with more characters as well as multiple storylines, sequels can exhibit something of a lack of control, and in this case, it is really owing to director David Leitch. It is a quality he showed previously in the stunning but flawed Charlize Theron-starrer Atomic Blonde – and let’s not forget that Leitch’s best film to date, John Wick, was co-directed with Chad Stahelski. With Deadpool 2, one gets the sense that star Ryan Reynolds had a lot of input into the final film (he’s a credited writer on it), but the many ideas driving Deadpool 2 don’t quite coalesce into one neat package. While the first Deadpool benefited much from Reynolds’ improvisation skills, the sense of improv in its sequel seems haphazard. Jokes about anything and everything are being thrown at the wall until something sticks. In fairness, there are several that work, especially when aimed at superhero movies or when they rip the piss out of celebrities (Hugh Jackman is, as expected, one of many stooges here). Deadpool 2 additionally suffers from a rocky first act, taking a while to find its feet. It doesn’t achieve the dramatic high points quite the way it should. Still, the movie improves in leaps and bounds in its pacing, the amount of action, and laugh-out-loud moments from act two. Highlights include the skydiving scene teased in the trailers, the addition of Zazie Beetz (one of the few saving graces of last year’s appalling Geostorm) as Domino, and a revelation that makes Brolin’s Terminator-esque Cable very Thanos-like (several jokes have been made about the fact that the actor plays two Marvel supervillains at this point) indeed. In fact, Deadpool 2, which has been released just weeks after, Avengers: Infinity War ends up providing this unintentional, rather ingenious commentary on the Marvel epic. Director David Leitch is at his most assured when directing combat-oriented action scenes, and this is particularly exemplary in the film’s finale. The climax of the movie is fitting while the post-credits scene (well, more mid-credits) is a gem. With an amusing soundtrack, good sense of fun and action, and zippy, zany comedic quality adapted from the first movie, audiences, and particularly fans of Reynolds’ character, will leave the cinema exalted. Still, the film is still a little hampered by its haphazard nature.